The Chron continues its way-early rollout of general election endorsements by giving their blessing to four Justice of the Peace candidates. The Democratic candidate Eric William Carter, 33, is our choice to replace vacating Judge Dale Gorczynski. This quick yet soft-spoken graduate of South Texas College of Law has the professional credentials and temperament to run this people’s court. An approachable demeanor is particularly important in a venue where many of the litigants are representing themselves. Carter promises to work with the community to develop a teen court to interest young people in the justice system and to educate them about how it works. We traditionally view a law license as a prerequisite to serving as a justice of the peace, but Galena ISD School Board Trustee Joe Stephens has earned our endorsement because of his commitment to his community, his support from the outgoing judge and his opponent’s problems with legal ethics. Republican Lincoln Goodwin – appointed to this bench in December 2014 by Commissioners Court – deserves a full elected term. Our vote for this bench goes to the only lawyer in the race: William “Bill” McLeod, a former special needs counselor who graduated from Texas Southern University Thurgood Marshall School of Law. 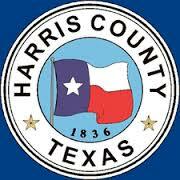 This court encompasses west Harris County and deserves a judge who is a licensed lawyer in good standing with the State Bar of Texas. Well, that answers the question I asked last week about whether the Chron was legitimately starting early on endorsements. I think we can expect a regular schedule of these from now on, which is cool. That should allow for more focus on individual races. Good for them for being this organized. As for the endorsements themselves, Stephens and McLeod are also Democrats. McLeod’s opponent is an incumbent, Russ Ridgway. The precinct in question is definitely Republican – I have 2008 data on it here – but not so much that it couldn’t be competitive in a year like this. These endorsements represent half of the JP races on the ballot this fall, though these are the only contested ones. Democrats have incumbents in precincts 2, 6, and 7, while a Republican presides in precinct 8.